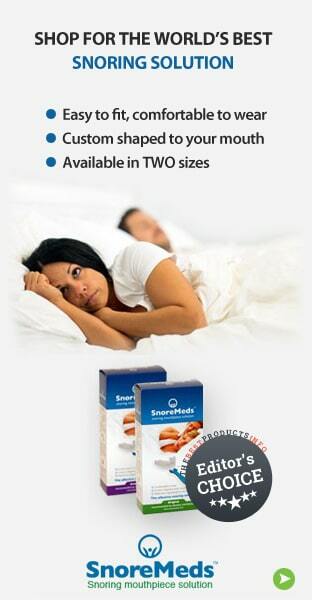 Home » Health » Health Product Reviews » Good Morning Snore Solution Review: How Effective is It? Good Morning Snore Solution mouthpiece is a clinically proven treatment for snoring and sleep apnea. Unlike other snore solutions, this product does not pull the jaw forward that often result in a sore jaw, lead to long-term bite misalignment. Snoring has been a pain in the neck for so many, yet every effort directed at curbing it has proved aborted. Though so many options claim to offer the best solution, but on a closer look, they still fail to address the problem head on. Perhaps you’ve heard about Good Morning Snore Solution, and you still doubt its efficacy—you should, having tried several products with no solution—-not to worry, this article will open your eyes and you will understand why so many people are achieving great results and putting their snoring problems behind them. The Good Morning Snore Solution is a design to stabilize the tongue. Just like the Mandibular Advancement Devices, they work in a similar way but more effective. This is because it functions almost in the same but slightly different way from MAD. It is an efficient, highly effective, comfortable, one-size-fits-all solution for snoring— my #1 rated mouthpiece. For you to clearly understand while this anti-snoring device has really worked, then I suggest it’s of paramount importance to understand why people snore. The simple reason is just because the passage of air has been blocked– both in the mouth and nose. When the snorer breathes, the walls of the throat respond to the blockage by vibrating, which results to the distinct sound of the snorer. 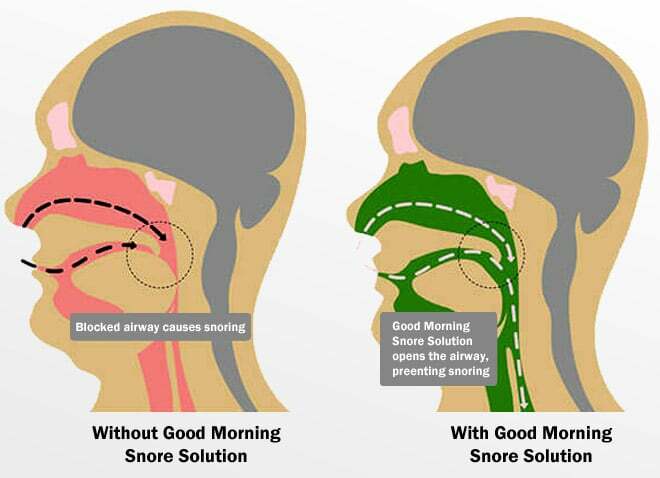 Good Morning Snore Solution is based on the idea of opening up obstructed airways, which operates using the concept of tongue displacement rather than jaw displacement. By the process of suction, the tongue is gradually lifted forward and the obstructed airways is clear once more. The Good Morning Snore Solution does not deploy any use of BPA and latex and it has registrations with the FDA, EEC AND also the TGA Australia. 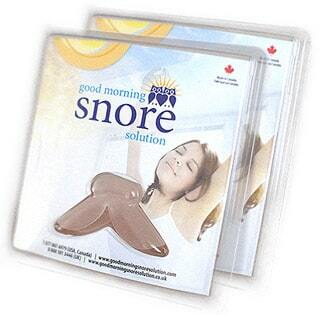 Good Morning Snore Solution (GMSS) has been produced from a thin and also flexible BPA- free and latex- free material. The comfort it gives is so great and doesn’t disturb your sleep as you wear it You’ve no reason to place any kind of hazardous and other forms of cheap plastic materials in your mouth. The product suits your need in an exceptional way owning to its design. With the aid of its suction, an attachment through the tongue is achieved. The suction is quite flexible and can be modified if you want to, depending on the air trapped in the suction bulb. So many of us like to see the approvals from the health authorities and Good Morning Snore Solution (GMSS) has got all. It might interest you to note that GMSS is cleared by FDA and they actually certify it’s really effective. To take it further, GMMS is registered with international bodies like Health Canada, the EEC and TGA Australia. According to reports on its Facebook page, it’s licensed for sale in 26countries. You’ll agree with that there’s nothing more reassuring than this. When it comes to affordability, GMMS has also nailed it. The cost of each unit goes for $99.84 and an extra $19.95 meant for shipping .The device could last for up to a year in terms of regular use. Cleaning is quite an easy thing to do too. You’ll have to buy denture cleaning formula from your local pharmacy and you’ll ensure that you clean it every day after use. With proper maintenance in place and use as well, you’re assured that you’ll use it for the duration of the time specified. If you’re still not convinced about the price, then have it at the back of your mind that you’re offered a 30-day trial without any risk attached. Some people will always want to try a product before finally making a purchase; you have the option of returning the product if it does not meet your need. For me, I have never returned GMSS before, but have don’t that with other products in the past if I’m not 100% satisfied. GMSS is backed by a money back guarantee. Though this product fits perfectly well in all cases, it may not be suitable for a few people. For instance, those with larger mouth sizes or smaller mouth sizes than the average may have issues keeping the product attached to their mouth. So, if you fall within this category, keep that in mind. It has no side effect in any way, unlike some other products. However, tongue soreness could occur as a new user or when used over time. But in most cases, the soreness will go away on its own. In rare cases, some people salivate more from using it. One of the most important drawbacks could be the fact that mouth breathing is not supported in any way. An air- tight seal should be attached at the lips, so nasal breather will be comfortable using it. An anti-snoring solution with an option of a breather will just be fine if you sleep with your mouth open or you have nasal congestion symptoms. If the truth must be told, then the drawbacks are really quite insignificant compared to the perks you get from using this product. Hence, if you’re a nose breather just as I am, then this might be the perfect solution you’ve long waited for. How Effective is Good Morning Snore Solution? From all indications, the perks and recognitions are all pointing in the right direction. Some opinions may slightly tilt to the other side, but a large chunk of users spoke positively about Good Morning Snore Solution and that goes a long way to attest to its efficacy. You can get the best deals at the product’s official site, and it’s for a limited time, so hurry—your discount is $20 for a single piece and $60 for a family pack; two pieces precisely. The coupon being offered on the site is an extra saving you shouldn’t allow to slip through your fingers and when you order from the official site, you get a 30-day money back guarantee.